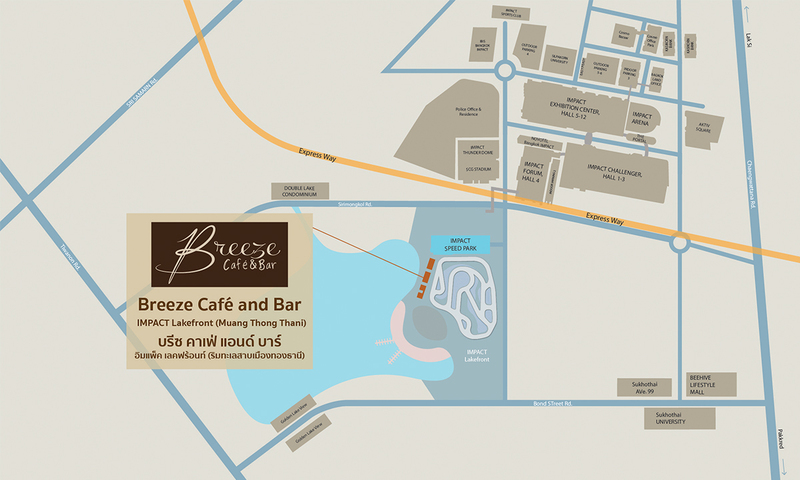 Breeze Café & Bar, a brand new restaurant and café under the management of IMPACT Exhibition Management Co., Ltd. situated by IMPACT Lakefront, Maung Thong Thani, is a new chill out spot comprising indoor and open air zones. A casual eatery decorated in shades of white with Kinfolk design, serves exquisite contemporary international cuisine overseen by skilled Australian chef who has over 20 years of experience in the culinary scene. 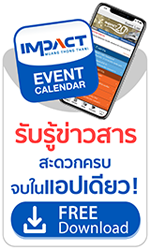 Be pampered by over 60 menu items of fusion, Thai, and international dishes ranging from BBQ Pork Ribs, Smoked Salmon, Caesar Salad, and Pad Thai, to delightful sweet treats as well as an array of coffee drinks. Get lost in a mysterious and fascinating atmosphere and enjoy an exceptional selection of local beers and premium wines all night long. A wonderful dining experience awaits everyone at Breeze Café & Bar, surrounded by scenic view of Muang Thong Thani Lake and IMPACT Speed Park’s state-of-the-art go-kart track in the heart of Muang Thong Thani.